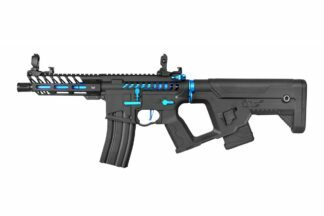 Tokyo Marui – HK416D Devgru Next Generation Custom – Black is an all Alloy constructed replica HK416D 6mm BB Airsoft Electric Gun part of Marui’s premier range of Recoil Shock electric Airsoft guns. Every time the weapon fires, the Airsoft gun imparts a solid and satisfying recoil force when fired, simulating the recoil of the real weapon. When the Magazine is empty, the weapon stops firing, mimicking the real-steel process. Change mags and hit the Bolt Release, to continue firing. 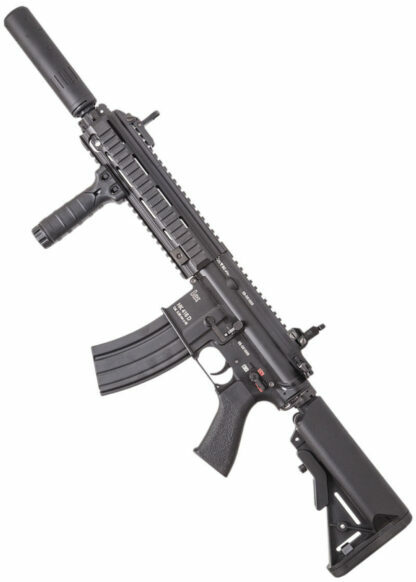 Rather than producing a replica of a standard 10.4 barrelled HK416D, Marui have replicated a US Navy Special Warfare Development Group Customised HK416D. The Receiver, 23cmm Quad RIS Rail Handguard and 10.4 Outer Barrel are all constructed from Alloy, flawlessly finished in black. 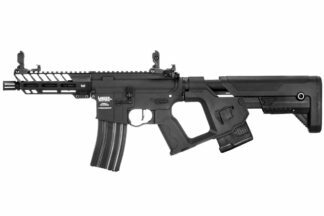 The textured pistol Grip, RIS Foregrip and Crane Stock are constructed from Durable Polymer, like those found on the real HK416. 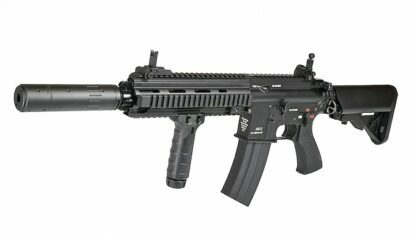 The replica RIS Handguard allows users to enhance the guns practicality and ergonomics with grips, lights and lasers. 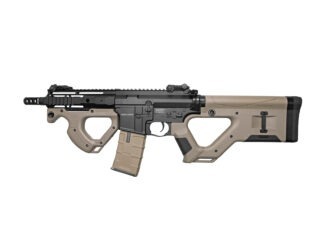 The Upper Receiver features a 20mm RIS Rail for Optics, allowing users to enhance their ability to locate and track targets. This is about as close to the real HK416 as you can get with an Airsoft Electric Gun, Tokyo Marui have taken replica Airsoft guns to a whole new level.